On one of my long strolls through Target while I was supposed to be buying laundry detergent, I somehow ended up amongst the clothes. 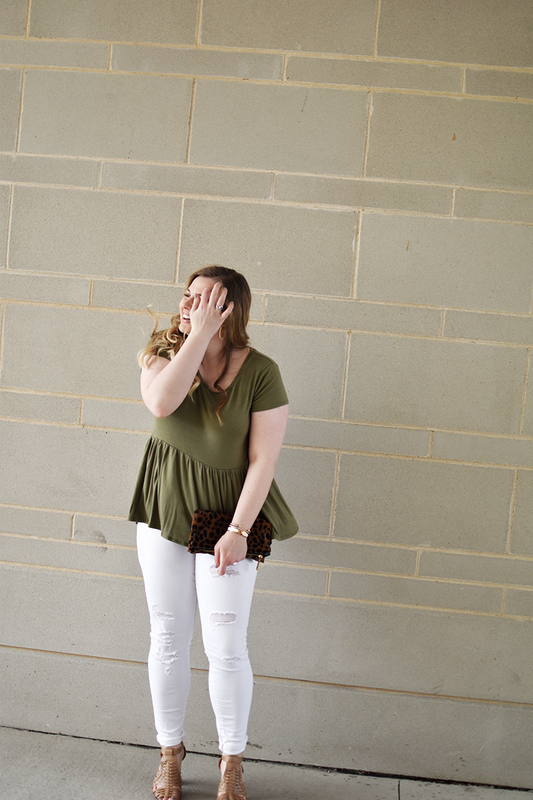 I know we've all been there and have most likely walked out with stuff we don't need, but this affordable peplum top is something you definitely need! 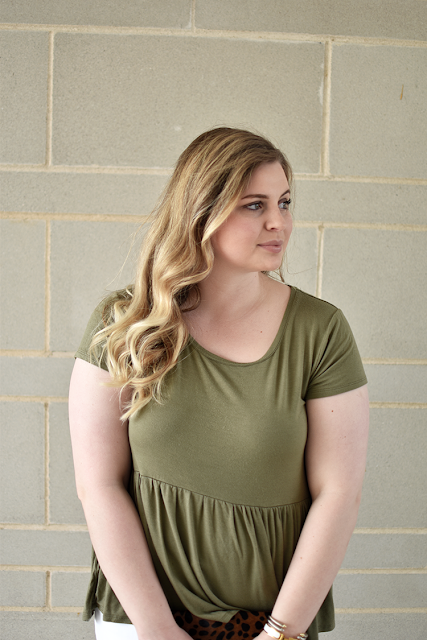 It's super flattering and lightweight - perfect for the warmer spring and summer days coming. It also comes in a really pretty wine color if that's more your speed! If you follow me on social media, you know I've talked about these jeans a few times and I'm still completely obsessed. My older skinny jeans had started to look like boyfriend jeans, so I figured it was time for a little denim update. Not wanting to spend a ton on jeans I don't plan on being in for a long period of time, I turned to Old Navy and they did not disappoint! I ended up purchasing these white distressed ones as well as a medium wash. At just under $40, these are such a steal. They hold their shape throughout the day and have held up great through the wash!